The vice president, Dr. Gregory Raskin, oversees hospital ventures with for-profit companies. As compensation for representing the hospital on the biotech company’s board, Raskin received stock options whose value soared when the startup went public a little over a week ago. At other cancer centers and research institutions, employees are barred from accepting personal compensation when they represent their institution on corporate boards. But Memorial Sloan Kettering had no such prohibition until now. Raskin has been involved with the startup, Y-mAbs Therapeutics, since 2015 when he signed off on the deal with Memorial Sloan Kettering, where the company’s experimental treatments for children with cancer have been developed. His vested stock options are worth about $675,000, at least on paper. Stock options that will vest in the future are worth about $616,000 more. In addition, shares he had personally purchased earlier at a discounted price are now worth about $106,000 more than he paid for them. 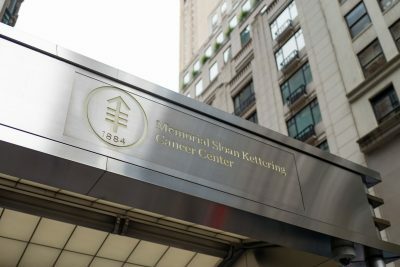 After ProPublica and The New York Times asked about Raskin’s compensation, Memorial Sloan Kettering said it would change its policy so that he and other employees in similar roles would not profit personally from such arrangements, and that all proceeds would revert to the hospital and its research. The hospital itself has an equity stake in the company of 8.45 percent, which is worth $73 million. On Friday, the hospital issued a memo to thousands of employees, announcing that it would restrict some interactions with for-profit companies. It said it was imposing a moratorium on board members investing in or holding board positions in startups that originated with Memorial Sloan Kettering. For now, the moratorium on board investments only applies to new deals, the hospital said. It would not affect the exclusive deal the hospital made with an artificial intelligence company, Paige.AI, to license digital images of 25 million tissue slides. Three insiders, including a member of Memorial Sloan Kettering’s executive board, were company co-founders, and three other board members were investors. Staff turmoil over the deal caused Dr. David Klimstra, the chairman of the pathology department, to announce that he would divest his equity stake in Paige.AI. The proposed policies stopped short of barring hospital executives from receiving compensation for their work on outside boards, although officials have said that is a move they are considering. Dr. Craig B. Thompson, the cancer center’s chief executive, sits on the board of the drugmaker Merck. Dr. José Baselga, the chief medical officer who resigned under fire this month after an article in The Times and ProPublica about his undisclosed industry ties, sat on the board of the drugmaker Bristol-Myers Squibb and Varian Medical Systems, a manufacturer of radiation equipment. He resigned both positions after he stepped down from his role at the hospital. Christine Hickey, a spokeswoman for Memorial Sloan Kettering, said Raskin brought the matter to hospital leadership on Sept. 21, the same day that Y-mAbs began trading publicly and a day after the article about Paige.AI was published online. She said he had fully disclosed his ties to the company, as required by the hospital. Before joining Memorial Sloan Kettering in 2012, Raskin was vice president of the venture capital arm of AllianceBernstein, focusing on biotechnology. He now leads the cancer center’s Office of Technology Development. Hospitals and universities have long assisted researchers with tasks like registering patents, but Raskin’s field — known as technology transfer — has expanded in recent years. Technology transfer offices have become increasingly involved in helping to set up companies, said Stephen Susalka, the chief executive of the Association of University Technology Managers. More than 1,000 startups originated at universities, hospitals or research institutions in 2017, according to his group, up from about 550 in 2007. Research institutions have varying policies when it comes to allowing employees to represent them on the boards of companies. Some, like the Cleveland Clinic and the University of Texas MD Anderson Cancer Center, permit employees to represent the hospital on company boards, while others, like the University of Utah, do not. The Cleveland Clinic said it prohibits employees from personally profiting when they are representing the interests of the institution. A spokeswoman for MD Anderson said that its head of technology transfer serves on one corporate board as a hospital representative, but that position is uncompensated. Karin Immergluck, the executive director of the Office of Technology Licensing at Stanford University, said she would not serve on a company board in her position overseeing the commercialization of research discoveries at Stanford. “It looks very conflicted, and I would think people from the outside might ask who you are representing,” the nonprofit institution or the for-profit company, she said. Y-mAbs, based in New York, was formed around immunotherapy treatments developed by the lab of Dr. Nai-Kong V. Cheung, a pediatric oncologist at Memorial Sloan Kettering. As part of a commercialization agreement, he received a stake worth $64.5 million on Friday. Researchers whose discoveries lead to new drugs are not covered by the new policy. With help from those promising therapies, the company’s market value has skyrocketed to nearly $867 million. “Memorial Sloan Kettering couldn’t be prouder of the work of our colleagues — who persisted over a 20-year period — to develop antibodies against different forms of advanced neuroblastoma; they are literally saving children’s lives,” Hickey said. Y-mAbs is hoping to win approval for its two lead products, naxitamab and omburtamab, to treat neuroblastoma and other cancers. Both drugs were given a breakthrough designation by the Food and Drug Administration, which means the agency will give them an expedited review because there is evidence they could be a substantial improvement over existing treatments. “These drugs saved my daughter,” the company’s founder and president, Thomas Gad, said in an email. In August 2015, Raskin signed off on the licensing deal between Memorial Sloan Kettering and Y-mAbs. Within weeks, he had taken a seat on the Y-mAbs board. After that, he had to recuse himself from hospital decisions about the company and was not allowed to sign agreements between Memorial Sloan Kettering and the company, officials said. The company said Raskin received the same package of compensation as others on the nine-member board who are not company executives. Between 2015 and 2017, Raskin also served on the board of another company, Sellas Life Sciences Group, that was created to commercialize a cancer vaccine developed at the hospital. 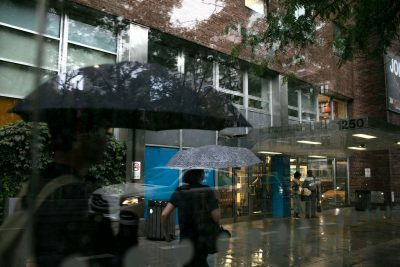 Memorial Sloan Kettering said he was not serving as the hospital’s official designee, and Raskin received $30,000 for his service in 2017, according to financial filings. He will now give that to the hospital to benefit research, Memorial Sloan Kettering said.